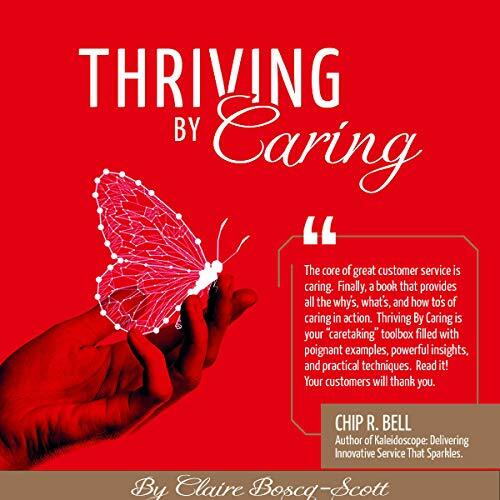 In this audiobook, Claire Boscq-Scott, aka "The Busy Queen Bee", outlines her 10 strategic leadership principles to successful growth through a caring service culture. It's important to start changing the service delivery by bringing more care to everything leaders do. This means being more compassionate, developing better communication, and supporting and engaging their employees; it means nurturing, valuing, and guiding their customers through their journey in a creative and inspiring way at an emotional level. Providing an unforgettable experience every time customers walk through your doors must become a necessity, and this can only be done by giving employees a place where they can feel a part of, engaged, and empowered, which ultimately will help businesses increase their profit and reach their higher mission. This book is brief and easy to understand. It’s important for businesses to value their customers to ensure satisfaction and return business. Author understands businesses and customers. Highly recommend.